Jacob Younkin Jr. was born in about 1793 in Turkeyfoot Township, the son of Jacob and Hannah (Nicola) Younkin, pioneer settlers of Somerset County, PA.
On May 7, 1811, when Jacob was age 18, he attended the wedding of his 22-year-old brother Henry to 17-year-old Elizabeth "Betsy" Weimer (1794-1870). Jacob was among a dozen local men who signed their names on a marriage statement to show that they had been witnesses to the wedding -- the others including John McMillen, Tom Lamb, Henry Nicola, John Benford, John Vought, John Philippi, Peter Bradford, Joseph Bowling, John Weimer, Robert Nicholson and Peter Bender. This certificate was passed down among the generations in the family. In the 1960s, it was in the possession of a great-great grandniece, Blanche (Tedrow) Bowman of Rockwood, PA and the text was printed with Jacob's name in the May 1968 edition of the Laurel Messenger of the Historical and Genealogical Society of Somerset County. In about 1813, the 20-year-old Jacob was united in wedlock with 18-year-old Sarah "Salome" Weimer (1795-1847? ), whom he had gotten to know well as the sister of his sister-in-law Betsy (Weimer) Younkin. The ceremony took place in Somerset County. Salome and Betsy were the daughters of John "Frederick" and Barbara (Harbaugh) Weimer Jr. of Turkeyfoot Township. The girls' uncle Leonard Harbaugh Sr. married Martha Minerd, and Martha's brother Jacob Minerd Jr. wedded Catherine Younkin. The family resided in Turkeyfoot Township and included these seven offspring, all sons but one: Isaac Younkin, Elijah Younkin, Barbara King, Jacob W. "Weasel Jake" Younkin, Frederick J. Younkin, Eli S. Younkin and Daniel W. Younkin. 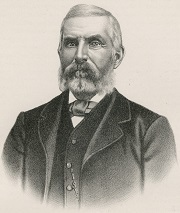 The Younkins' family physician starting in 1847 was Dr. William Steele Harah, a graduate of Jefferson Medical College who set up his practice in New Centerville, Somerset County, at the White Hall Inn owned by Joseph Pile. Harah once wrote that he knew their son Frederick "from boyhood." Sadly, Sarah Salome passed away in Turkeyfoot Township sometime the late 1840s, believed to have been in the 1846-1848 window. She well could have been treated in her final illness by Dr. Harah. Yet the details are beyond our grasp. Writing many years later, a great-great-great-great granddaughter lamented that Salome "is lost to the ages." Jacob survived his wife by only a year or two. He died in 1848 at the age of 55. The nature of his demise is not known. He did not leave a last will and testament. It's suspected, though not proven, that the Younkins rest for eternity under unmarked fieldstones in what today is known as the "Delilah Younkin Cemetery" in Hexebarger, so named after their daughter in law Delilah (Faidley) Younkin. At the time, however, the property would have belonged to Michael Ansell and his family. Despite relatively early deaths, the Younkins left behind a meaningful legacy in the form and function of their offspring -- seven children, at least 52 grandchildren and 181-plus great-grandchildren. During the Civil War, no fewer than a dozen of their offspring or spouses served in the Union Army, with one losing his life in the cause. And reflecting the Americans' lives and social activities of the 19th and early 20th centuries, 24 of the grandchildren lived in such midwestern places as Kokomo, Indiana; Muscatine, Iowa; and Junction City, Kansas. At least 13 of their descendants were wedded to their Younkin cousins. These numbers can only increase as more research is done. Research for this page graciously shared by the late Olive (Rowan) Duff, the late Donna (Younkin) Logan and Linda Marker. Dr. W.S. Harah image from the History of Bedford, Somerset and Fulton Counties, Pennsylvania.